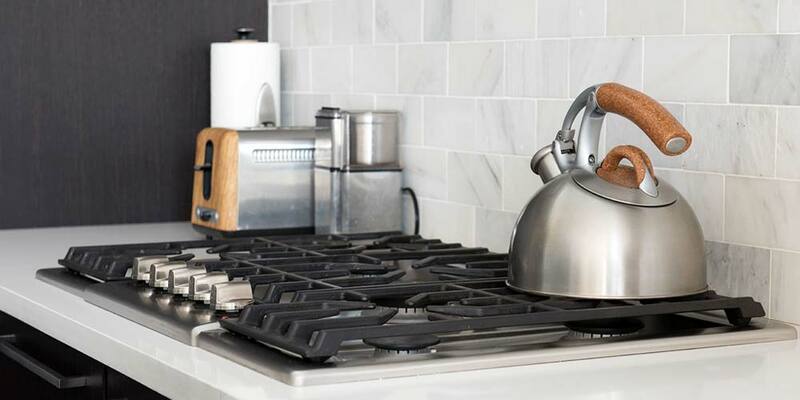 Learning Center » Buyer's Guides » Kitchen Appliance Guides » Cooktop vs Range: Which One Is Best For You? Do you know the difference between a range and cooktop? While they both accomplish the same task, there are some stark differences between a range and cooktop. If you’re currently looking to buy one of these appliances for your home, or perhaps a commercial property, then it would be wise to consider the differences between the two so you have a better idea of what to expect. To help you figure out which one would be best for your specific needs and your lifestyle, we have dived a little deeper into explaining what each of them are, as well as how they differ from each other. As with any new appliance, especially one with such a high initial cost, it is incredibly important to weigh the pros and cons of each. By doing so, you will have a better idea of which one would be the better for you and your family. Let’s take a closer look at the differences between a range and a cooktop, as well as examine the lesser-known rangetop. 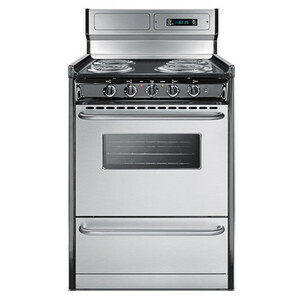 A range is an “all-included” cooking appliance that combines a cooktop with a wall oven. It is generally larger in size, includes an oven down below and is designed to slide right into your countertops, thus creating a seamless built-in look. The size of ranges will vary quite dramatically. You can find ranges as small as 20 inches, which are ideal for tiny homes and RVs. The larger sizes can climb up to 60 inches and are a great fit for restaurants and other commercial purposes. However, for your average homeowner the best size will be somewhere in the middle, with a 30 or 36 inch range being the most popular. If you have the space, you may want to consider a 48 inch range, as these are usually packed with innovative features that any home chef can truly appreciate. The knobs that control the range are going to be found on the front of the unit, directly below the cooking surface and slightly sticking out from the cabinetry. This design is not always favorable for families with small children, as they can be easily accessible to toddlers. The top of the range will vary depending on the model itself, offering a variety of cooking surfaces, grates and zones. The larger the range, the more features, zones or accessories you will have available to you. Many of these larger ranges will allow you to add on a griddle or give you a double oven. Gas ranges are the most common type available, but you can also buy them in electric or dual-fuel, which allows you to utilize both gas and electricity. Below is a brief overview of the pros and cons each type of range. These will be a little more affordable to initially buy. However, use of electricity may cost you more in the long run, as you will likely see your monthly energy bills climb. These are typically easier to install, as you don’t need to worry about installing a gas line. Although the open flame of a gas range is desirable for many chefs, the flat surface of an electric range will allow you to cook evenly and are widely regarded as better for baking. These are going to be the most popular type of range for homeowners. The initial cost will be a bit higher, but the use of gas makes them more eco-friendly and you won’t see a spike in your monthly electricity bill. The open flame allows you to adjust the temperature quickly and gives you more cooking options. The downside is that they are a bit more difficult to install, and you may have to add a gas line. These allow you to use both electricity and gas while cooking. This gives your more precision in what you cook, as well as how you cook it. They cost a little more than other types of ranges, but this cost comes with more flexibility and options. The installation process is going to be comparable with a gas range. You also have the option to choose between a freestanding and slide-in range. Everything described above still applies to these two design styles, however there are a few differences worth noting, as they may appeal to you. Designed to standalone or be installed directly within your cabinetry, this type of range has sides that are finished and a back that will sit flush against the wall. Typically, you will find a control panel on the top of the device that is a few inches tall. This panel will be located in the very back of the range, and gives you the ability to control the oven below. As the most common type of range in kitchens across the world, these are not only affordable, but they are the easiest to install or replace. A slide in range is going to be much like its freestanding counterpart, with the main difference being unfinished sides and no control panel sticking up in the back. Providing an elegant built-in appearance that showcases your backsplash, a slide-in range will be relatively flat with only the grates and cooking surfaces sticking up above the countertops. All of the controls will be located in the front of the device, including those that control the oven below. If you are looking to install a range within a kitchen island, then this the type you will want to look into. Like many other kitchen appliances, there is no shortage of brands offering ranges in pretty much every color or finish you can imagine. With so many brands, models and features to consider, it can be a bit overwhelming to start your search. 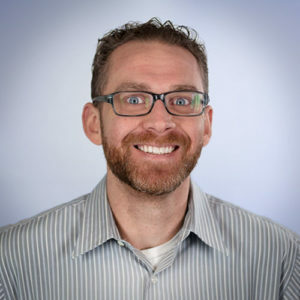 If you find yourself in this situation, please give this buyer’s guide a read. To help get you started, below we have listed the best ranges based on customer reviews and reader feedback. 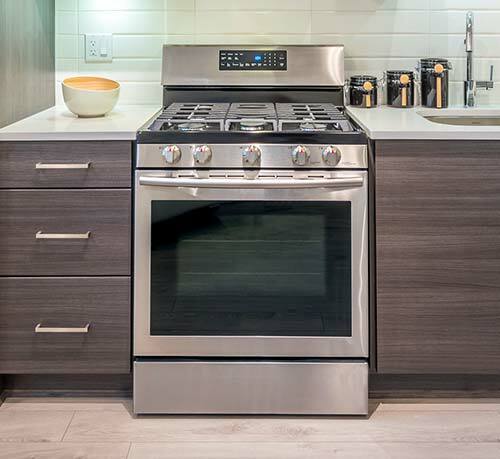 If a range is widely regarded as a “slide-in unit” that includes an oven down below, then a cooktop would be a “drop-in unit” that offers many of the same functions, but does not include an oven below, instead giving you more storage space. These will be similar to size as a range, with all cooking surfaces and controls located on your countertops. Due to its design, a cooktop sits entirely on top of your countertops. Since they “drop-in” and you don’t have to worry about opening the door to an oven, you have a little more flexibility as to where you can install a cooktop. If you’re remodeling or designing a kitchen, then you can install them in areas that may seem a little unconventional, such as on a kitchen island. Assuming that specific area can meet the required gas and electrical needs to run the appliance. Simply measure the dimensions of the unit, cut a hole in your counters and drop the cooktop in. The length, depth and width of cooktops will generally follow the same trend as ranges, with 30 and 36 inches being the most popular. However, you can find cooktops in a wide variety of sizes. The smallest will be portable cooktops that have a 10 or 12 inch cooking surface. The larger units will be mostly 48 inches, but you can find a few commercial models available in 60 inches. However, it is important to note that commercial ranges are the preferred appliance for restaurants and other large kitchens, due to having more features and versatility. The knobs that control the cooktop are located entirely on top of the appliance. Typically, they will be located in the front or near the sides of the grates, either located all on one side or split among both sides near the grate in which they control. Unlike a range, this design makes it harder for small children to reach the knobs and inadvertently turn on the appliance. The top of the device will vary depending on the model and brand you go with, but they all typically offer multiple cooking surfaces and grates. Like ranges, you can find cooktops that utilize induction, gas or electricity, or perhaps some combination of the three methods. 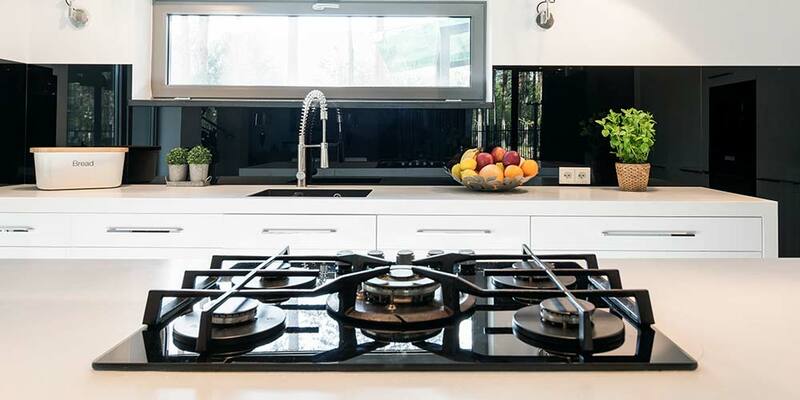 Gas cooktops are extremely common, perhaps even the most popular type available. 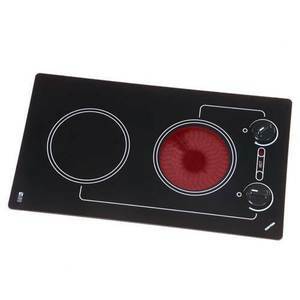 However, electric cooktops still remain a viable option for many. In recent years, induction cooktops are gaining popularity. 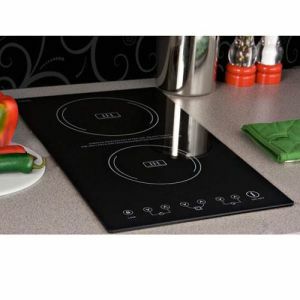 Below is a brief overview of the pros and cons each type of cooktop. This type of cooktop is a little more affordable to buy. However, they do take a little longer to heat up and don’t give you as much control over the temperature as other cooktops. With it using electricity to operate, you may notice a slight bump in your energy bills. Coil cooktops are going to be harder to clean, whereas smoothtop units will be extremely easy. 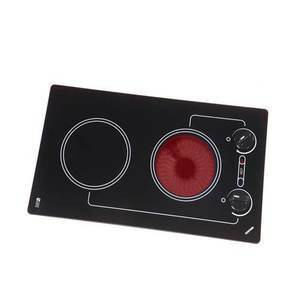 This type of cooktop is the most popular as it doesn’t cost as much to operate, can quickly heat up and gives you better temperature control. However, the initial cost is going to be higher and you will need a gas line installed for it to operate. This type of cooktop is quickly becoming the most popular as it the quickest, most precise with temperatures and the safest available. Utilizing a completely different method of cooking that doesn’t actually heat the surface, you eliminate your chance of burning yourself. Unfortunately, they are much more expensive to buy and you will likely need to buy new cookware in order to use it. 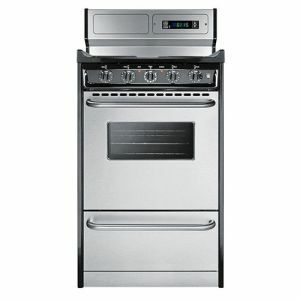 Following the same trend as ranges, there are dozens of brands manufacturing this type of appliance. You have hundreds of different brands, models and features to consider. To help get you started, below we have listed the best cooktops based on customer reviews and reader feedback. 120 volt – 20 amp. 240 volt – 10 amp. A rangetop is very much like a hybrid of a range and a cooktop. Versatile, elegant and packed with powerful features, a rangetop is built directly into your countertops with its distinguishing characteristics being the absence of an oven below and a design that extends out in front of the countertops. The easy way to look at this type of appliance is that it’s basically the same build as a range, with the oven cut away from it. This gives you the cooking power of a range, while preserving the storage space below. The knobs of a rangetop are located in the front of the unit, not only making them accessible to little hands, but also extending the appliance slightly out from the cabinetry. The surface of a rangetop will sit flush with the countertops, much like a cooktop, with only the grates or other cooking zones sticking up. In regard to sizes, types and features available for you to choose from, a rangetop is going to be the same as your conventional range. Instead of going into the details here, it would probably be best for you to read over the “what is a range?” section above. My ideal unit is a gas cooktop with electric oven. Where is the section talking about ovens in particular. If you get a separate cooktop, you probably need a separate oven or maybe double oven or oven/microwave combination. Gas vs electric vs convection, etc. 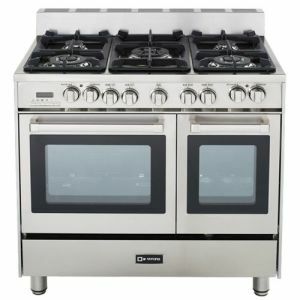 Would like to see more on picking a separate oven to go with my separate cooktop please!